Buy probalan Ohfab brings back the love for ancient weaves. An overriding passion for heritage Indian textiles and dying weaving techniques saw city-based sisters Aanchal and Akshita Sagar abandon their respective careers and dive head first into Ohfab ai??i?? a label they formed in June this year. Joining a long list of textile revivalists and designers, Ohfab seeks to take the focus back to the intricate and luxuriant weaves that were favoured between the 16th and 18th centuries. Next weekend, the duo will give the city a taste of vintage luxury at their pop-up in ITC Windsor. ai???Weai??i? ?ve been researching these techniques and working with weavers for the past one year,ai??? says Aanchal, who has a Masters degree in Luxury Brand Management from Emlyon Business School in France. 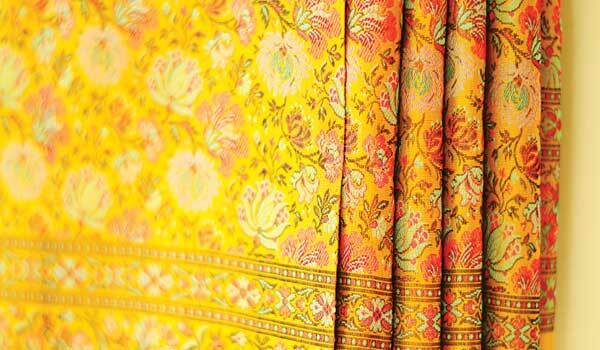 The Ohfab Show will offer fabrics, saris and dupattas woven in the Benarasi, Mashru and Paithani traditions. Sourced from weavers in Varanasi, Aurangabad and pockets of rural Gujarat, the collection gives one a break from the winter gloom with pops of vermilion, aubergine purple, fuschia, canary yellow and more. ai?? ?For the designs of the garments, we look at ancient pattern books the weavers have treasured. Sometimes, we look up the designs ourselves. Ohfab is all about bringing back the glory of the past ai??i?? not merely the textiles, but the aesthetics as well,ai??? Aanchal explains. The garments also feature tested (mix of silver and copper) and pure (silver and gold) zari work. Customers can either buy their ready-to-wear pieces or choose from their fabrics and avail of their bespoke services. Rs 1,200 upwards. January 7. At ITC Windsor, Golf Course Road. Details: facebook.com/ohfab.in.